Free HUNT Alabama tag sign-up! What the Hunting Heritage Foundation Stands For? 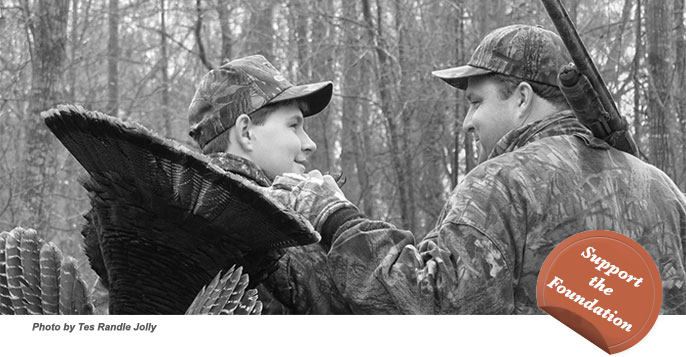 As hunters, we all share a rich heritage passed along to us by those special people who introduced us to hunting. The Hunting Heritage Foundation needs your help because our hunting heritage is important to all of us, and because there are growing threats to our way of life as hunters. Many of us take the time to pass the heritage along to younger people. This is fundamental to keeping hunting participation strong. But simply introducing others to hunting is not enough alone. The Hunting Heritage Foundation is working to protect and preserve hunting because none of us individually can do as much as we can together. And focusing on the right things can make a huge difference. 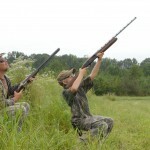 Find the time to introduce young people to hunting because the future of hunting depends upon their participation. Learn as much as you can about our hunting heritage so you can talk to people you know about how hunting benefits all of society. Donate to the important work of the Hunting Heritage Foundation, and receive timely updates and alerts about critical issues and upcoming events and happenings. No amount is too small or too large. Donations are deductible and can only be spent on the work of the Hunting Heritage Foundation. There’s no membership to renew, no time-consuming meetings to attend, no costly magazine. But your help, right now, can make a real difference. Please support the work of the Hunting Heritage Foundation. Your children and grandchildren will be glad you did. © 2012 Hunting Heritage Foundation. All Rights Reserved. Powered by Caddis.